James I of England died on March 27, 1625. His reign was seen as good and bad, depending on the books you read. One thing is for certain, his death led to a difficult reign. On March 27, 1625, the first Stuart King of England, James I, died. His only surviving son, Charles, ascended to the throne and it was the start of a very difficult reign for England. In fact, the ascension led to the end of the monarchy for a number of years and the execution of the first and only English King. Despite reigning since he was a baby in Scotland, he only reigned for 22 years in England. James Stuart only reigned in England for 22 years. 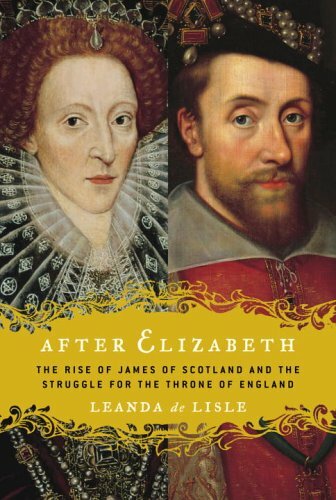 However, he had been King James VI of Scotland long before that. This was a man who had reigned over the Presbyterian Scots from just a year old, after his mother, Mary Queen of Scots, was forced to abdicate her throne in favor of him. While he didn’t have much control to start with, he eventually gained it and used it well. 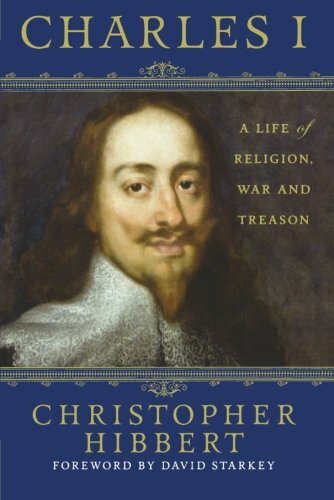 His mother had been imprisoned in England until her execution on February 8, 1587. However, James seemed somewhat distant from this. 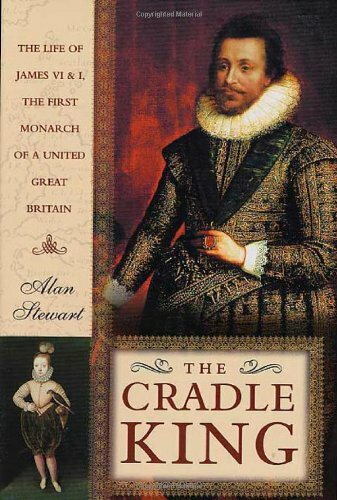 He knew it was in his best interests to support the English Queen at the time, Elizabeth I, and so he did. It was only after Elizabeth’s death on March 24, 1603 that James was able to take the English throne and would create a lavish tomb for the mother he had never really gotten to know. James was a cousin of Elizabeth, through Henry VII. Margaret Tudor married James’ great-grandfather, James IV of Scotland. Henry VIII of England was Elizabeth’s father. According to Henry VIII’s last will and testament he was never supposed to gain the English crown. It was supposed to go to Henry’s youngest sister’s family, the Grey family. However, that name had been tainted after Lady Jane Grey and her nine day reign. Elizabeth really had no choice but to name her Scottish cousin her heir, since she had no children of her own. What exactly killed first this king of three nations? James’ final years were extremely difficult. When he turned 50, he started to suffer from a number of ailments, including kidney stones and gouts. He also had arthritis and it made it difficult to walk around and attend to his duties. He ended up drinking heavily and had no teeth left by his death. He was so ill in his last years that it was often up to his son, Charles, to fulfil his duties. This was a benefit to Charles as he learned how to govern the country. There are a number of theories over the illness that James had. One of those is porphyria, due to the dark red color of urine description he gave to his doctor. This was a disease that George III showed symptoms of later in life. You may have heard of the term “the madness of King George.” This referred to George III, and the mental deterioration is one of the symptoms of porphyria. It is a disease that is inherited, so it would make sense that this connection is in place. While there are theories, nothing can ever be proven and many experts do not believe James did suffer from such a disease. The red colored urine could have been due to blood, which would happen with kidney stones. He eventually had a stroke, although did have a number of fainting fits before this. It would not have been an easy last year of his life, but he tried to remain as dignified as possible. After all, he was the King of England, Scotland and Ireland. He eventually died of dysentery, which took the life of a number of kings before him, including King Henry V.
It took almost two centuries to find the tomb of James I! Westminster Abbey became James’ resting place. However, the coffin was placed somewhere until his own lavish tomb was created. This never happened and the coffin was missing for a long time. It was only during the excavation work in the early 19th century that his lead coffin was located within Henry VII’s vault. He was finally moved to a place of his own, where he now remains. Interestingly, a number of coffins were found during the excavation works. This was also the time when the bodies of some of Henry VIII’s executed victims were found and finally laid in marked graves. 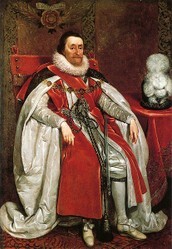 James I's death led to a troublesome reign for his son, Charles. James had two sons: Henry and Charles. Very much like Henry VII’s boys, the eldest died when he was young. Charles found himself in Henry VIII’s place; he would one day become king. The difference for Charles was that he would become king of three nations. It was a difficult reign for the new king. Unlike his father, he did not have the love of the English people. He decided to marry a Catholic bride and tried to run the country by himself by disbanding parliament. Taxes rose and the people of England really struggled. In the end, Charles found that he did need his parliament’s help, but that led to him losing power and soon England lost the monarchy. James I was a favorable king. He was loved by the people of Scotland and managed to gain the love and trust of the people of England within the 22 years that he reigned there. However, there are some who argue that his attitude did lead to the problems his son later faced. He preferred to spend time hunting and enjoyed the company of his male favorites. This led to some difficulties with running the country and keeping the finances in check. It really does depend on the books that you read as to whether he was a good or bad king. James I's preoccupation with witchcraft, prompted persecution of so-called witches in late 16th century Scotland. James V was born on April 10, 1512. He was the son of James IV and Margaret Tudor and the grandfather of the man who joined two Kingdoms, James VI of Scotland and I of England. Who was Charles III? Technically there wasn't one, unless you are a supported of the Jacobite cause. Learn more about the Young Pretender. In 1666, around 800 people chose to sacrifice themselves, in order to save the lives of thousands of strangers. Could you have done that?